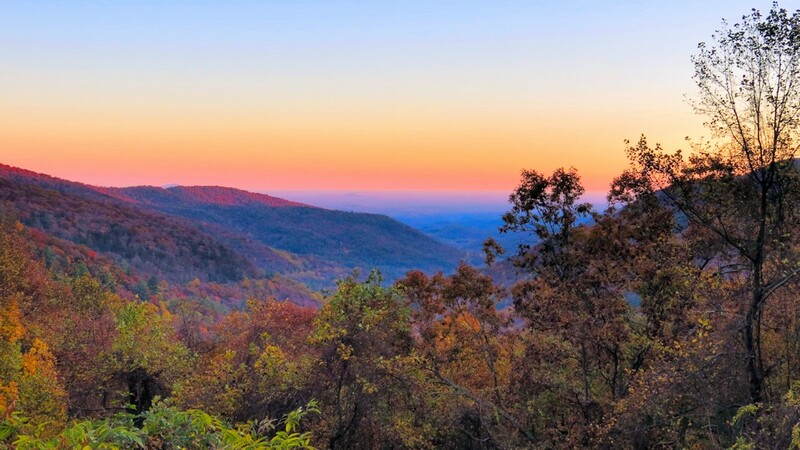 The Blue Ridge Mountains area of North Georgia is a perfect destination for a getaway. If you live in the Atlanta area, you will especially love the proximity: just a short 40 minute drive! This is a rustic area, with plenty of outdoor activities waiting for you. To get the most out of your vacation, you might consider North Georgia mountain cabin rentals. Mountain resort cabin rentals often consist of luxury cabins. If you want beautiful natural surroundings, privacy, and comfort, a cabin is your best accommodations bet! The size, location, condition, and amenities vary greatly, so there is bound to be a cabin that fits your needs. This is probably the first thing you should think about: where exactly do you want to look for cabins in North GA? The entire region is beautiful, but you might be looking for something in particular. If you are interested in fishing cabin rentals or similar waterfront cabin rentals in Georgia, you might consider cabins in the Coosawattee River Resort. If you are looking for an area with much to offer, we urge you to consider cabins in Ellijay, GA. Cabin rentals in Ellijay GA come in all types, and Ellijay is nestled in the heart of the Blue Ridge Mountains. There are always things to do in Ellijay GA, including some of the many festivals in North Georgia. Some of the other considerations might also help you decide on location. For example, the time of year you choose to visit has a lot to do with what kinds of activities are available nearby and how crowded the area may be. If it just won’t be a family vacation without your pet, you should make sure the you rent is pet friendly. Many Blue Ridge cabin rentals do allow pets, but not all, so make sure to ask explicitly when you are still planning your trip. It is important to consider what needs and expectations you have about the property when booking Georgia mountain cabin rentals. As mentioned, cabin rentals come in many sizes. Think about how many people are planning to join you. Is this a big family gathering or just a cozy getaway for two? This will determine the size and number of rooms needed. Be sure to allow everyone enough room to be comfortable. Think about what amenities you want to have and what else might make your vacation even better. Have to have a game area for the kids? A mountain or river view a must? Since all of the cabins are unique, you can find just about anything you want or need among the luxury cabin rentals in GA. Whether you want a hot tub and spa, a gourmet kitchen, or a cozy fireplace, it helps to know what you want when trying to decide which cabin is right for you. When you are planning on visiting is a big consideration. Certain times of year, such as spring, summer and fall are popular times to visit and may be booked. If you are flexible about the dates you can travel, you are more likely to find the cabin you want. Like with any vacation, it is important to pick a budget and stick to it when planning your Blue Ridge vacation. Consider how many people are going and how much to spend per person to arrive at your budget. When seeking cabin rentals Ellijay, GA and throughout the area, remember that there are cabins to fit any budget. Whatever your needs, whatever you are looking for, you are sure to find just the right cabin if you keep the considerations above in mind. So come on up to the Blue Ridge Mountains resort cabin rentals! We can’t wait to see you! Be sure to visit www.ellijayrivercabins.com to find the best places to stay, eat, shop and play in the north Georgia mountains. Our North Georgia cabin rentals are convenient to Ellijay, Blue Ridge, and all the wonderful places N Georgia has to offer. Our riverfront cabins are perfect for week long getaway for your larger groups, family reunions, church retreats, or just extra room for your family to relax.